CPO, NIGHT BLACK, 1 OWNER, PANO ROOF! TOO MANY OPTIONS TO LIST!! !CARFAX One-Owner. Clean CARFAX. Certified. Night Black 2016 Mercedes-Benz GLA GLA 250 FWD 7-Speed Automatic 2.0L I4 DI Turbocharged 18 Twin 5-Spoke Alloy Wheels, Panorama Sunroof, Power Liftgate, Rain sensing wipers, Steering wheel mounted audio controls.Odometer is 6080 miles below market average! 25/35 City/Highway MPGMercedes-Benz Certified Pre-Owned Details:* Roadside Assistance* Vehicle History* Transferable Warranty* Limited Warranty: 12 Month/Unlimited Mile beginning after new car warranty expires or from certified purchase date* 165 Point Inspection* Includes Trip Interruption Reimbursement and 7 days/500 miles Exchange Privilege* Warranty Deductible: $0Reviews:* Sporty handling and performance from base model; stunning performance from AMG® version; ample safety features. Source: Edmunds* Broad range of engine choices; quiet, upscale and well-built interior with a roomy backseat; long list of standard safety and technology features. Source: Edmunds - **Vehicle Options listed are when the unit was originally built. Please confirm the accuracy of the included equipment by calling the dealer prior to purchase.CPO, NIGHT BLACK, 1 OWNER, PANO ROOF! TOO MANY OPTIONS TO LIST!! !CARFAX One-Owner. Clean CARFAX. Certified. Night Black 2016 Mercedes-Benz GLA GLA 250 FWD 7-Speed Automatic 2.0L I4 DI Turbocharged 18 Twin 5-Spoke Alloy Wheels, Panorama Sunroof, Power Liftgate, Rain sensing wipers, Steering wheel mounted audio controls.Odometer is 6080 miles below market average! 25/35 City/Highway MPGMercedes-Benz Certified Pre-Owned Details:* Roadside Assistance* Vehicle History* Transferable Warranty* Limited Warranty: 12 Month/Unlimited Mile beginning after new car warranty expires or from certified purchase date* 165 Point Inspection* Includes Trip Interruption Reimbursement and 7 days/500 miles Exchange Privilege* Warranty Deductible: $0Reviews:* Sporty handling and performance from base model; stunning performance from AMG® version; ample safety features. Source: Edmunds* Broad range of engine choices; quiet, upscale and well-built interior with a roomy backseat; long list of standard safety and technology features. Source: Edmunds - **Vehicle Options listed are when the unit was originally built. Please confirm the accuracy of the included equipment by calling the dealer prior to purchase. CPO!!! PREMIUM PACKAGE, MULTIMEDIA PACKAGE, REARVIEW CAMERA, BLIND SPOT ASSIST, PANO ROOF, HEATED FRONT SEATS, BURMESTER SOUND SYSTEM!!! - **Vehicle Options listed are when the unit was originally built. Please confirm the accuracy of the included equipment by calling the dealer prior to purchase.CPO!!! PREMIUM PACKAGE, MULTIMEDIA PACKAGE, REARVIEW CAMERA, BLIND SPOT ASSIST, PANO ROOF, HEATED FRONT SEATS, BURMESTER SOUND SYSTEM!!! - **Vehicle Options listed are when the unit was originally built. Please confirm the accuracy of the included equipment by calling the dealer prior to purchase. CPO!!! PREMIUM PACKAGE, SMARTPHONE INTEGRATION, LANE TRACKING PACKAGE, LANE KEEPING ASSIST, BLIND SPOT ASSIST, ILLUMINATED STAR, REARVIEW CAMERA, POWER TILT/SLIDING PANO ROOF, TRAILER HITCH, BRUSHED ALUMINUM RUNNING BOARDS, AMBIENT LIGHTING PACKAGE!! !MSRP $59,050 - **Vehicle Options listed are when the unit was originally built. Please confirm the accuracy of the included equipment by calling the dealer prior to purchase.CPO!!! PREMIUM PACKAGE, SMARTPHONE INTEGRATION, LANE TRACKING PACKAGE, LANE KEEPING ASSIST, BLIND SPOT ASSIST, ILLUMINATED STAR, REARVIEW CAMERA, POWER TILT/SLIDING PANO ROOF, TRAILER HITCH, BRUSHED ALUMINUM RUNNING BOARDS, AMBIENT LIGHTING PACKAGE!! !MSRP $59,050 - **Vehicle Options listed are when the unit was originally built. Please confirm the accuracy of the included equipment by calling the dealer prior to purchase. CPO!!! PREMIUM PACKAGE, REARVIEW CAMERA, BLIND SPOT ASSIST, BURMESTER SOUND SYSTEM, HEATED FRONT SEATS!!! MSRP $47,605 - **Vehicle Options listed are when the unit was originally built. Please confirm the accuracy of the included equipment by calling the dealer prior to purchase.CPO!!! PREMIUM PACKAGE, REARVIEW CAMERA, BLIND SPOT ASSIST, BURMESTER SOUND SYSTEM, HEATED FRONT SEATS!!! MSRP $47,605 - **Vehicle Options listed are when the unit was originally built. Please confirm the accuracy of the included equipment by calling the dealer prior to purchase. CPO!!! LANE TRACKING, LANE KEEPING ASSIST! JUST ARRIVED!! !MUST HURRY!!! WON'T LAST LONG!!! - **Vehicle Options listed are when the unit was originally built. Please confirm the accuracy of the included equipment by calling the dealer prior to purchase.CPO!!! LANE TRACKING, LANE KEEPING ASSIST! JUST ARRIVED!! !MUST HURRY!!! WON'T LAST LONG!!! - **Vehicle Options listed are when the unit was originally built. Please confirm the accuracy of the included equipment by calling the dealer prior to purchase. Everyone knows Mercedes-Benz is a premier European luxury car brand. Renowned around the world, Mercedes-Benz vehicles represent the best in German engineering and are considered a hallmark of elegance and sophistication. 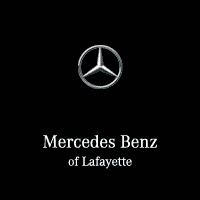 At Mercedes-Benz of Lafayette, we provide our customers with the best selection of Mercedes-Benz certified pre-owned cars in the State of Louisiana. Our inventory cannot be matched, and we combine the best pricing with top-tier customer service. If you are looking for a reliable, powerful, and luxurious pre-owned vehicle, look no further than Mercedes-Benz of Lafayette. We look forward to helping you drive away in the car of your dreams. Want the performance of a brand-new Mercedes-Benz without the brand-new price? Consider a certified pre-owned model from Mercedes-Benz of Lafayette! You can experience the pleasure of driving a sophisticated machine without breaking the bank when you purchase one of these impressive vehicles. Why choose Mercedes-Benz certified cars? Every model we offer must pass a process and inspection to become certified, so you know you’re getting the real deal. All of our certified pre-owned models also come with a CARFAX history report so you can know the vehicle’s history before you buy. Start browsing our online inventory, or learn about the benefits of certified pre-owned vehicles! Whether you are looking for a sedan, coupe, or SUV, Mercedes-Benz of Lafayette has a wide inventory that is always restocked with the best pre-owned and latest model vehicles. Mercedes-Benz automobiles have excellent resale value because of their engineering prowess, and we constantly update our selection of cars and SUVs through the certification process. We’ve been a trusted member of the Lafayette, LA, community for years because we provide honest, transparent, and professional service for all your pre-owned luxury car needs. Our selection of certified pre-owned cars is unlike anything you’ve seen. Our showroom boasts an impressive array of top-quality automobiles, and our rigorous inspection and certification process ensures you are getting a dependable and innovative vehicle. As a certified pre-owned car dealer, we work hand in hand with Mercedes-Benz to ensure our vehicles pass every performance test. Along with your CARFAX report, you get a robust guarantee from our entire team here at Mercedes-Benz of Lafayette that your vehicle will exceed all your expectations. Are you in the market for a new vehicle? Do you want powerful performance without spending top dollar? Your first stop should be Mercedes-Benz of Lafayette to take a test drive in one of our certified pre-owned vehicles. Our knowledgeable and friendly staff is here to make the pre-owned car buying process easy and hassle free. We will never try to upsell you on anything you don’t need, and our aim is to offer you the quality and luxury you deserve in a vehicle, whether new or pre-owned. The Mercedes-Benz brand stands for top-tier performance and class, so come by today to experience the difference. Visit today for the best pre-owned vehicles!